I am drooling just looking at this meal; aren’t you? Homemade Pesto? Check. Pasta? Check. Caramelized potato hash browns and green beans? Check. 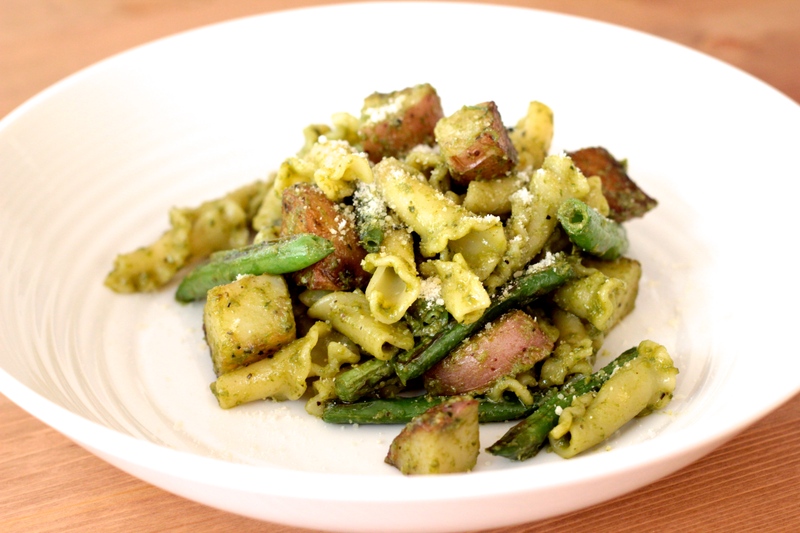 Pesto pasta with potatoes and green beans is an old Italian classic. Traditionally, it is a one-pot meal, all boiled in sequential cook times then drained and stirred together with pesto. I turn this into a one-pot, one-skillet meal, pan-roasting the potatoes and green beans in the skillet. And, frankly, if I get hash browns out of the deal, I’m okay with a two-pot meal. Fill a large stockpot with water and bring to a boil. Salt the water, add the pasta, and cook until al dente, about 8-10 minutes. While the water is heating, coat a large skillet with olive oil and heat over medium-high heat. Add the potatoes, salt and pepper to taste, and roast, stirring until all sides are golden, about 10 minutes. Add the green beans and stir with the potatoes, until the green beans are golden browned. Drain the pasta, return to the pot, and add the potatoes and green beans. Stir in the pesto. Start with 1/2 cup, taste, and add more according to your taste. 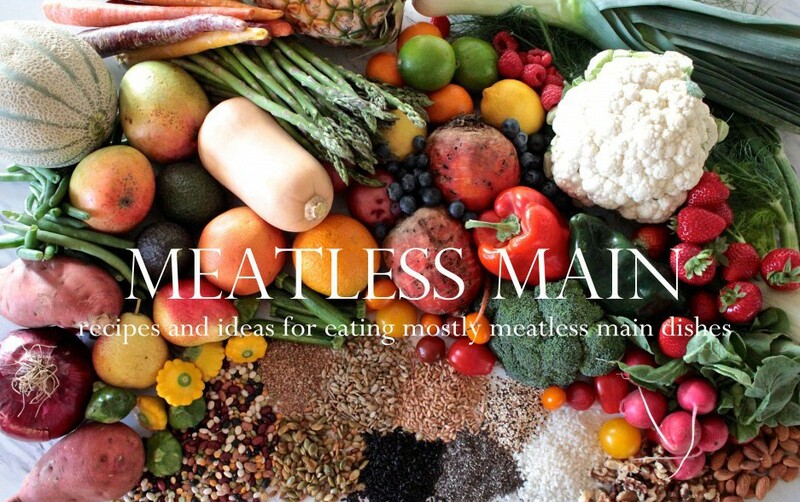 Serve sprinkled with parmesan cheese, or nutritional yeast to keep it vegan.